Procrastination is something we all struggle with. However, I do have two strategies that may help you stop procrastination; at least, in the short-term. In the long-run, you'll need to figure our your WHY. I talk about all of that in today's episode of Better Life, Better Business. Let's dive in! Jump to podcast or keep reading. 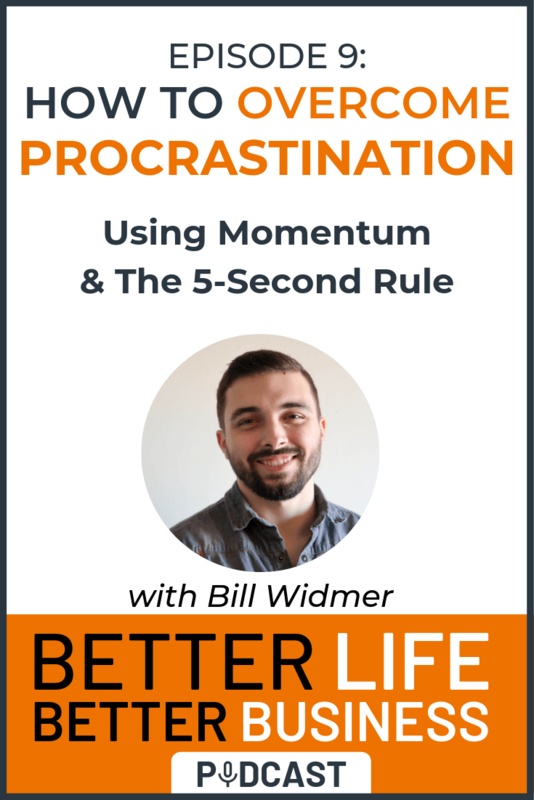 The power of momentum to be more productive. Why cleaning your sink is a great way to get started. How to uncover your WHY power and beat procrastination forever. [1:32] How to use momentum to overcome procrastination. [1:58] What "shining your sink" is and how to use it to build momentum. [2:35] Why the first task in your momentum chain should be something that physically moves your body. [3:31] What the 5-second rule is and how to use is to stop procrastinating. [4:28] How to figure out WHY you're procrastinating in the first place and how to use whypower to change your life.